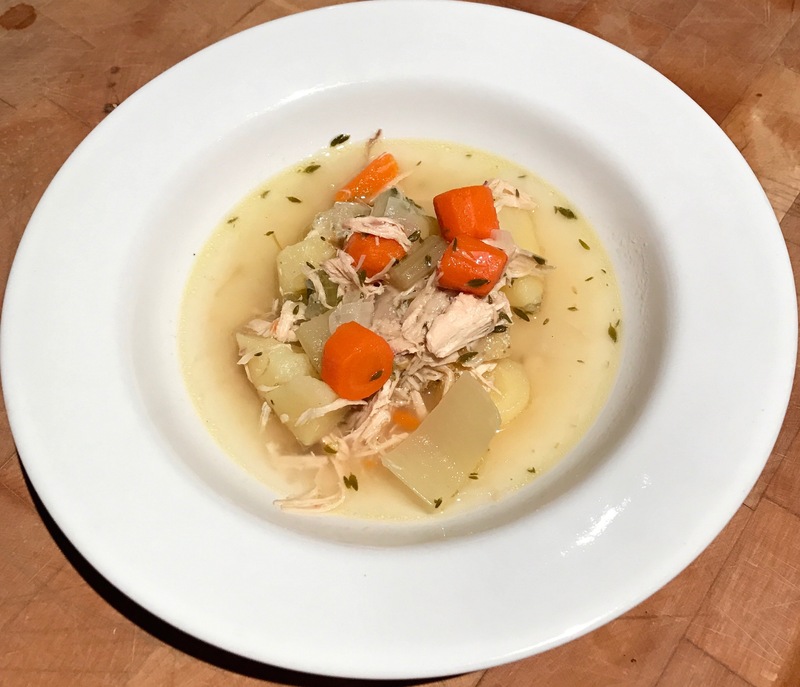 Since the election my husband and I took ourselves to the kitchen and found solace cooking together, feeding our bodies, minds and spirits with nourishing soups and stews. It lightened the energy. There is a chill in the desert air now and it feels good to adorn clothes again. My winter jacket, gloves and beanie are a warm welcome on the 2 mile walk to the coffee shop. Ernest Coffee on Palm Canyon. They serve serious coffee, Stumptown coffee and play good tunes. If you are visiting Palm Springs make sure to stop in. Soup is on our home menu for the season so I will share some great tasty soups with you this winter. I love making stock for my soups and especially chicken stock that I can add a few vegetables to and have a nourishing homey chicken soup, and keeping it simple so the essence, depth and flavor of the bird is paramount. Wash the chicken and pop it into a heavy pot. Add everything else bring to boil then simmer for 2 hours or more. while the stock is simmering. melt 2 Tbs butter in a pot then add the veggies, salt and white pepper and toss in the butter. cover with lid and sweat (simmer) the veg on low heat for 10 minutes then set aside. when the stock is done take the chicken out and strain the stock through a sieve. let the chicken cool then pull it apart for the soup. warm up the buttered vegetables add the stock give it a good stir bring to boil and simmer for 30 minutes till veg are soft then add the chicken and simmer for a few minutes. taste and check seasoning. Serve in a nice bowl with some crusty bread and enjoy.